This past episode of SmackDown did not take place the way we expected it to happen. As we are just a few weeks away from WrestleMania 35, and some matches are yet to be booked, WWE has still not finalised many matches. Let us find out the result of this week SmackDown along with some analysis. WWE SmackDown Results Mar 12, 2019: Winners, Highlights, Full Analysis and Commentary. The show kicked off with The Miz entrance, who spoke on his attack by Shane McMahon at Fastlane PPV. Miz said that he would ensure that Shane gets the beating of his life at WrestleMania 35. He also took Kofi Kingston stand and wished that he come out triumphant against the odds. The show even featured Kevin Owens show where his guests were Becky Lynch and Charlotte Flair. The chat show ended in a brawl between The Irish woman and Charlotte. Rey Mysterio will face Samoa Joe for United States Championship at WrestleMania 35; this match officially got declared this past week on SmackDown. We even saw AJ Style coming in support of Kofi Kingston and wish him good luck for his gauntlet match to become the No.1 contender for WWE championship. Kofi Kingston first opponent for the gauntlet match was Sheamus. Kofi managed victory by eliminating Sheamus with trouble in paradise to pin him to three counts. Then Kofi went on to defeat Cesaro, Rowan, Samoa Joe and finally Randy Orton to earn the title shot opportunity against Daniel Bryan at WrestleMania 35. This was indeed a happy moment for Kofi fans, friend and The New Day. However, the celebration did not last long, because Vince McMahon came out and spoil the party by telling the Jamaican wrestler to defeat one more candidate to earn the title shot. Mr.McMahon chose the WWE champion Daniel Bryan as his final opponent in the gauntlet match. Kofi fought his heart out against Bryan; however, he was already physically damaged which could not help him to win against the current champion. 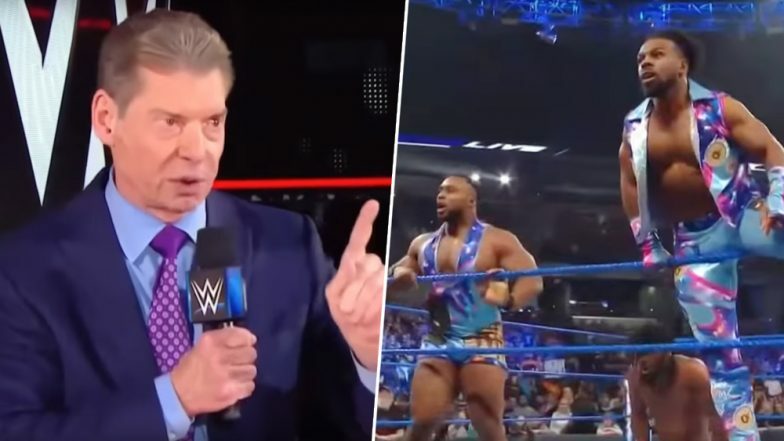 Therefore, Kofi again lost the chance to fight at WrestleMania 35, thanks to Mr.Vince Mcmahon.